Ford Coyote engines have proven their exceptional capabilities both at the track and on the street. 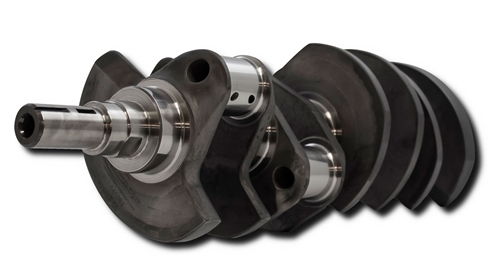 Callies Compstar 4340 Steel Crankshafts were designed to support the additional horsepower and torque being generated in these applications. These cranks are machined with large strength enhancing journal radii like all Compstar crankshafts and come nitrited. These cranks are available in three configurations. A stock 92.7mm stroke with “Standard” Coyote Rod journal, a 96.5mm (3.800″) stroke and a 99.06mm (3.900″) stroke. All standard OEM driveline, valvetrain and accessory components can still be utilized.